We’re throwing a 3D Printing Cage Match Party at 7PM at Chicago’s Beauty Bar. See factory teams, local businesses, and hobbyists compete to print a medieval weapon as fast as possible, and then fire marshmallows at their slower competitors! Our own DJ Adam Dzak will be spinning, Jim Burke will provide commentary, and PS1’s Lulzbot AO-101 and Makerbot Replicator will both be competing as well. Want to attend? RSVP (free) here. Want to compete? Register (free) here. 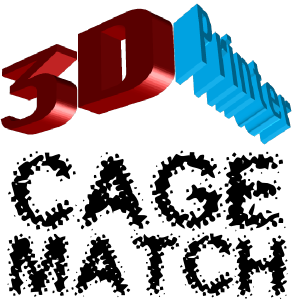 More information at the 3D Printer Cage Match Homepage. Please note that this event will serve as the CNC Build Club meeting on the same evening.